WOW!! I was looking recently at the RTW pants and wondering how it was built to look like this. Now I know! Thanks a lot for this tips! i hear ya! it took me a long time to figure out how they did it! 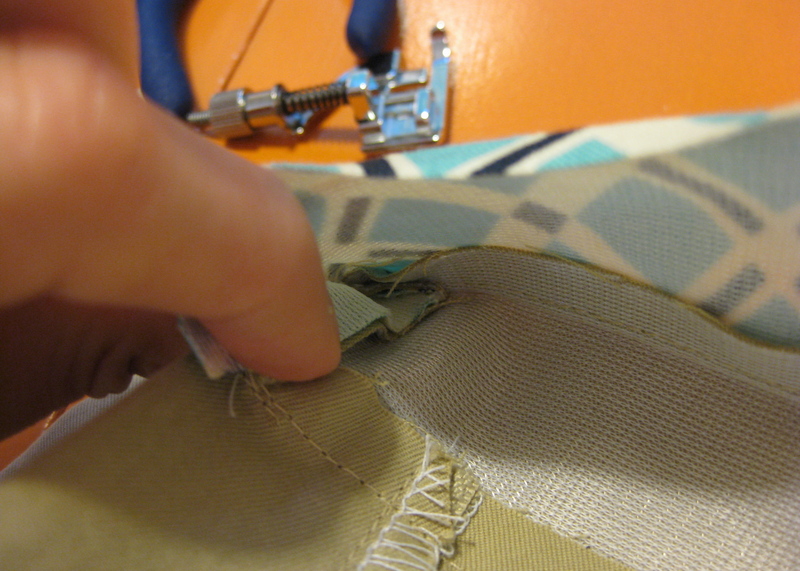 I also can’t get my corners at the top of zippers to be perfect. Wonder if there’s a right way to fix that as well. 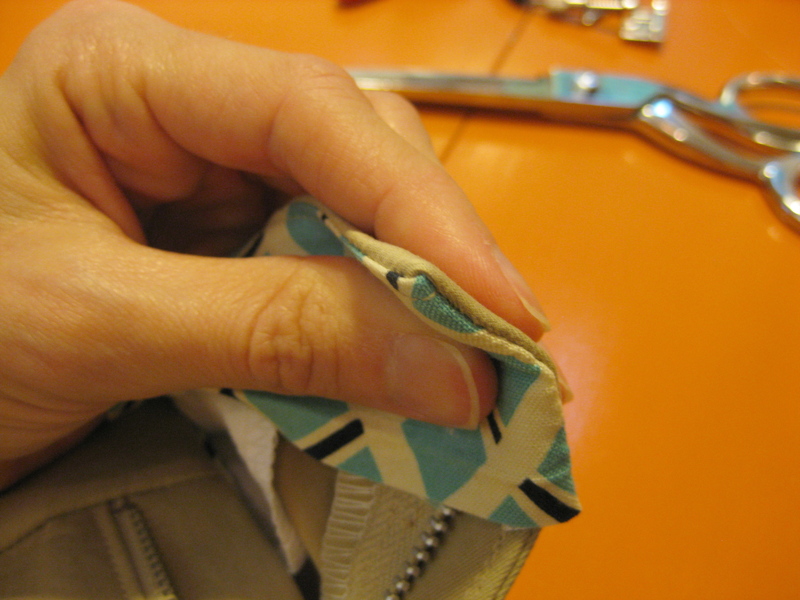 this technique would work the same for the top of zippers, depending on how you typically construct things. the trick is all in folding the SA’s to lie flat! Wow, that looks perfect – I am trying that next time. Thanks for sharing. Beautiful corner. I’m starting a pair of cargo pants on Monday and will definitely give this a try. great! this will come in handy then! Just finished my waist band and the corners look so great. thanks for the tip. yay! glad you were able to use this tip so quickly! definitely! sometimes the “rules” make sense in theory but not so much in practice. do what works! Brilliant! I’ll definitely try this on my next pair of Thurlows! (Is that what you have here, btw? Love the lining!) 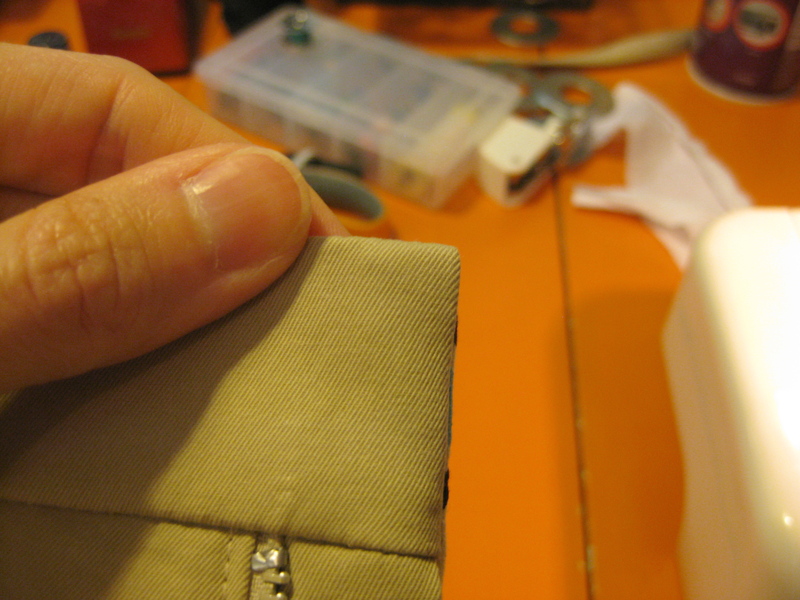 Waiting to sew the end until it’s attached to the pants is a good idea too – my waistband and fly facing are never lined up quite right. Thanks! sadly, not another thurlow here–instead a poorly drafted (darn you mccalls!) pair of shorts for my oldest daughter. 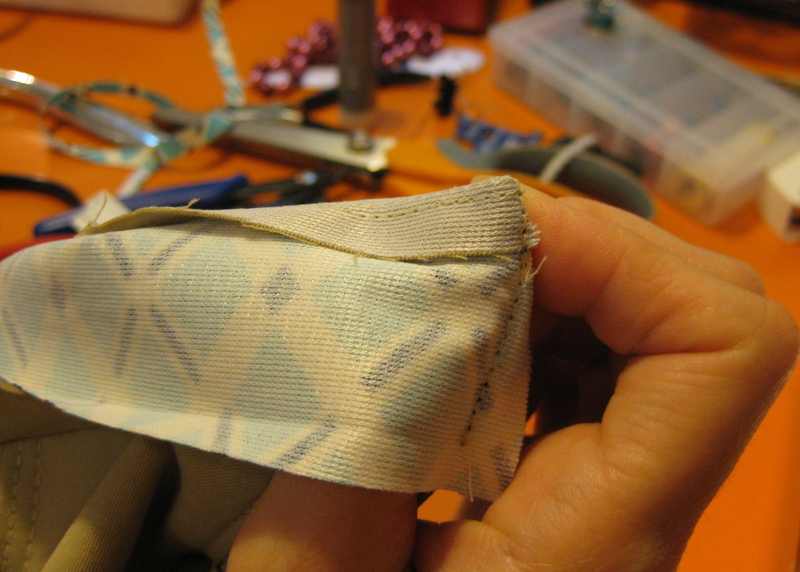 and it is definitely best to sew those short ends last, makes for perfect matching. and on the thurlow, the fly shield is too wide (by about 1/2″) so i chop it off the edge of the shield from the get go! I think I love you. Seriously!! This makes me want to redo the waistband on my denim Moss skirt, that corner is all whacked out. I am so excited to try it out! haha thanks! here to help! Thank you for posting this! I have more than a few waistbands with a wonky stretched out corner. You have such great tips and tutorials would you be able to add a new heading at the top of the blog with links to them? Of course I have no idea if I’m asking for the world here since I’m not technical. You are amazing! Most tutorials I see on blogs are either for very simple things that already exist on the internet or they are taken directly from time-tested sewing books and presented as if they were just invented. (I own 20+ sewing books from the 1940s to present.) However, this one I have never seen and it is brilliant. Thank you! thanks, i know exactly what you mean! glad you found this useful. oh man! I want to make a waistband immediately just to try this out! Thank you! Oh yes. My fabulous sewing teacher was the first to show me this, and I love her for it! How dreamy does that turned out waistband look? You’ve got to love a right angle. what a great teacher! i just love little techniques like this. Great tutorial and pictures, I will try this next time! ahhh the tote bag people are holding out on us!!! 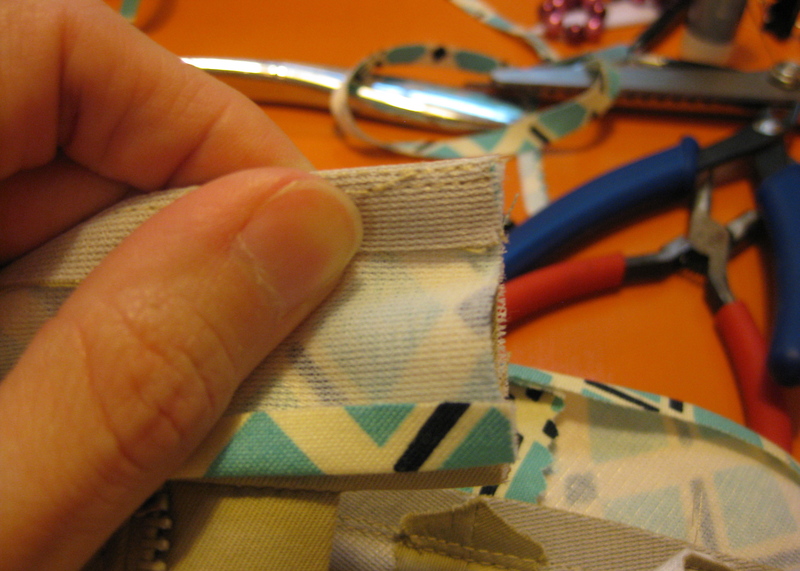 This is one of my major sewing blind spots that I just haven’t been able to conquer! I will be trying this next time for sure. Thank you so much! I’m so excited learning this. I just made a pair of shorts for my husband and didn’t get the neat waistband finish I wanted – lucky he will wear a belt. I’m about to make two more pairs for him so will definitely use your technique. 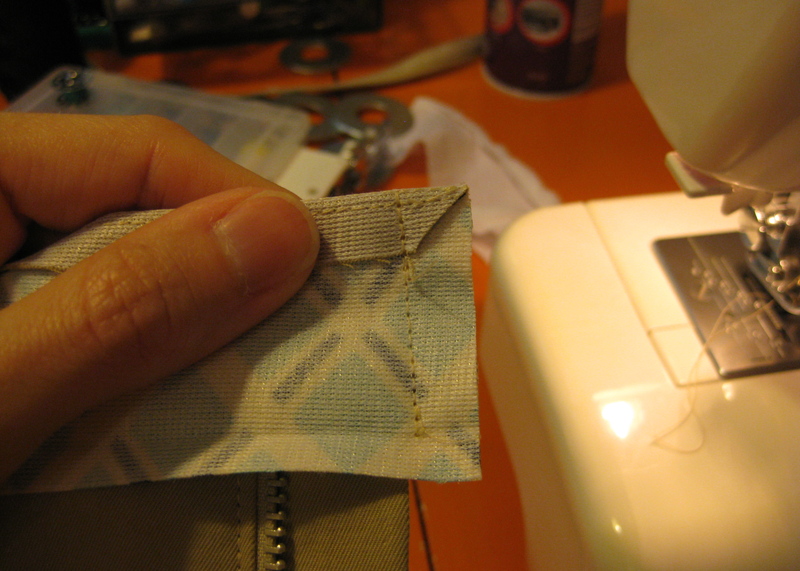 It makes so much sense about why to not cut off the seam allowance – now that you have pointed it out!! i promise it will work for you! it’s one of those “well duh” moments once you learn it. oooo! cant wait to try this – im in awe of how perfectly square and flat it is! Thanks for sharing this tutorial. I’ve had problems with getting neat corners on my pants waistbands. I’ll have to give this a try. I have one question. How do you handle the remaining SA on the facing? 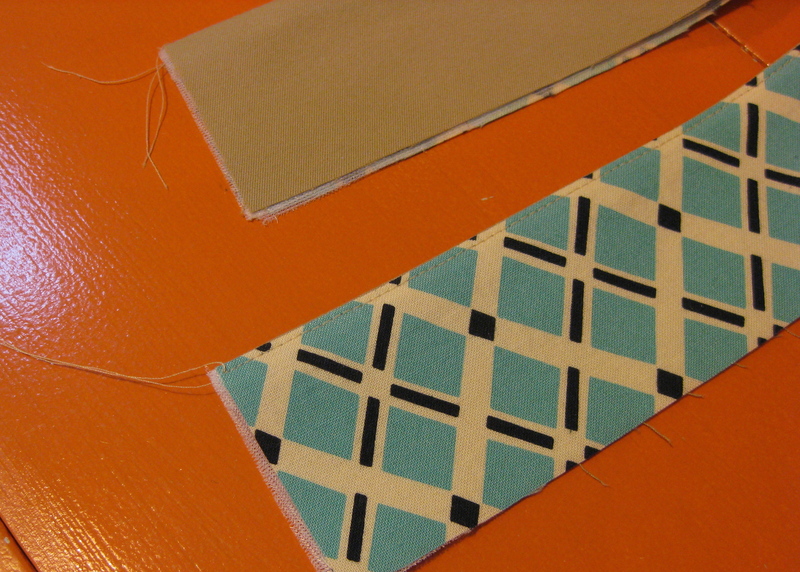 On the very last photo, the folded edge of the facing isn’t tacked down or stitched. 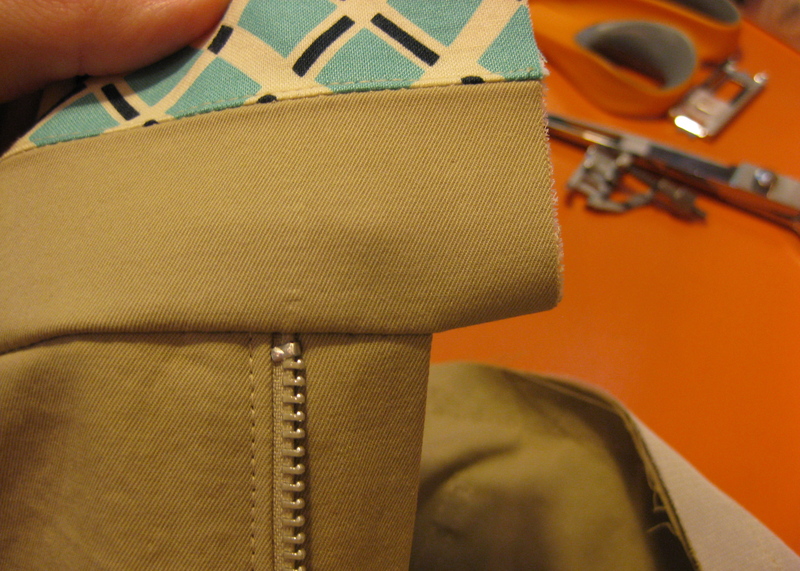 Do you slipstitch it in place or topstitch from the outside? i turn the SA under then topstitch it down from the outside. hope this helps! Omg. Mind blown. Questions answered! I sincerely appreciate this particular post. it’s life changing most especially I v been making effort to get this for a long time. I just did not quite long today. Am impressed with my results. Thanks alot. 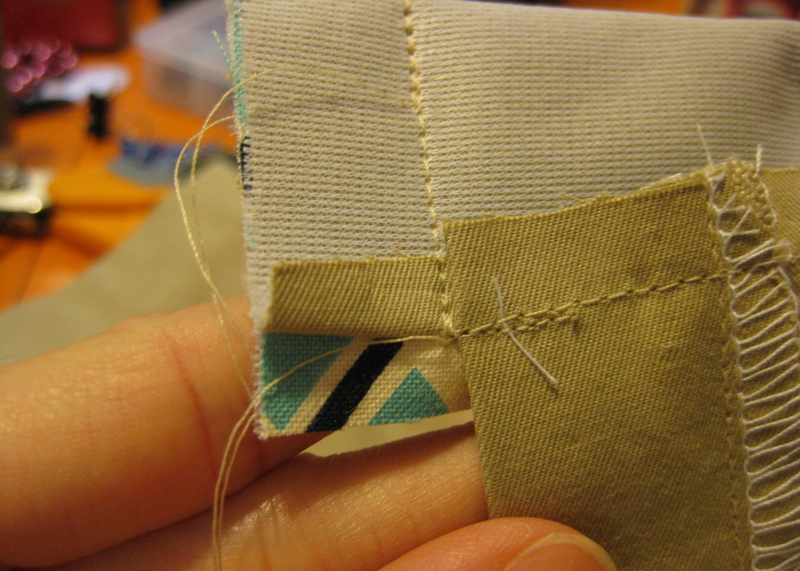 Don’t mind if you can refer me how to finish up pants professionally blog, I mean the inner construction. Thank you. This is fantastic. It’s easy and works wonderfully! You have motivated me to get busy dressmaking again, thank you!